Does the gift have to be given on April 6th? Yes, the gift has to be given on April 6th between the hours of 8:00 a.m and 8:00 p.m. Does the gift have to be made online? Yes, it must be made online through the Arkansas Gives website. Yes, the tax receipt will come from Arkansas Community Foundation not SAU Foundation. 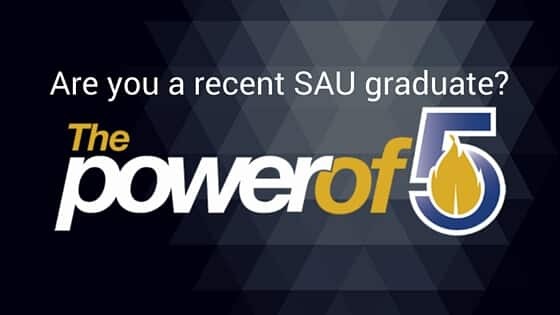 How will SAU Foundation know that I made the gift? If the donor does not request the gift to be anonymous, SAU Foundation will acknowledge receipt of the gift from the donor. If the donor requests that the gift be anonymous, SAU Foundation will not know who it is from and will not be able to acknowledge it. Can I specify where my donation will be used? Yes, in order to specify you will need to contact the Foundation by clicking here. Can I join Mulerider Club through Arkansas Gives? Yes, your Mulerider Club membership through Arkansas Gives will automatically decline all membership premiums (caps, shirts, tickets, etc.). Yes, please fill out the matching gift form from your employer and send to SAU Foundation not Arkansas Gives.